Sisters-in-Law combines legal detail with warm personal anecdotes that bring these very different women into focus as never before. Meticulously researched and compellingly told, it is an authoritative account of our changing law and culture, and a moving story of a remarkable friendship. 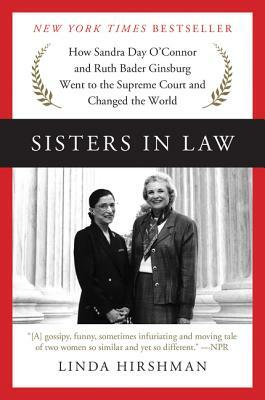 For anyone interested in the court, women’s history or both, the story of Sandra Day O’Connor and Ruth Bader Ginsburg, their separate routes to the Supreme Court and what they accomplished during the more than 12 years they spent together is irresistible.